Bug Zoo runs from April 27-May 9, with Bug Zoo Fest II and SBG’s Arbor Day celebration on Saturday, May 4. This year Bug Zoo features the ever-fascinating concept of Survival! Get up close and personal with some of Bug Zoo’s famous creatures, make critter crafts, do a bug scavenger hunt, play buggy games and more! Bring the kids and explore engaging displays while learning about fun, weird and sometimes incredibly helpful creepy crawlers. 11:00 a.m. – 3:00 p.m. Get up close and personal with some of Bug Zoo’s insects and their amazing survival adaptations and other famous creatures, make critter crafts, do a bug scavenger hunt, play buggy games and more! General bug viewing and self-guided activities. 9:00-3:00 p.m. 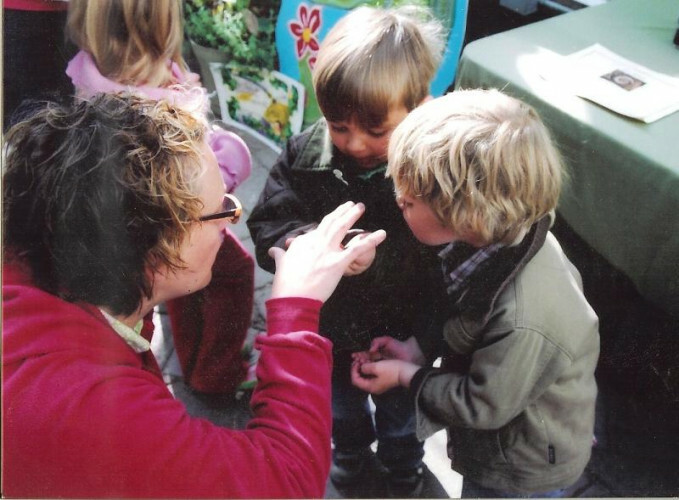 Experience Bug Zoo with one of our specially trained Survival Educators. Reservations required: call (208) 726-9358 to reserve your class time slot. 3:00-5:00 p.m. We recommend public viewing during these hours. 11:00 a.m. – 3:00 p.m. Bug Zoo U is a terrific opportunity for adults and kids to go deep, learning more about these fascinating critters from storytellers, critter owners, beekeepers and more! SBG will also offer a tree planting celebration and demonstration by the pros!